What are folk currently swiping and tapping away at on their Androids and Apples? I'll start with Big Bash Cricket, which looks great and features the real men's and women's teams from Australia's Big Bash T20 league. It's a very simple, swipe-to-hit kind of game. However after not-so-long the flaws will bother you. The middle difficulty is far too easy (you'll win the tournament the first time you try, I reckon) but hard is ridiculous. This is because you can't tell soon enough whether it will be a fast or slow paced delivery. Swing early on a slow one and you'll be LBW; swing late on a fast one and you'll be bowled. And the computer batters will always smash you to the boundary. The bowling controls are quite pleasing though; you drag a marker to where you want your line and length, then swipe at the right time for speed and swing. Last edited by Kevin S; 30-06-2017, 09:11. Mini Metro. Very simple and compelling idea - you're building a metro system in one of a number of world cities. Draw lines to connect stations before the crowds waiting for passengers get too large and you lose. Stations (and the icons representing passengers) are different shapes, so you need to plan how to get them to the right stations by building interchanges. You can re-draw the lines at any time. At the end of every week you get offered bonuses like extra trains, extra carriages, tunnels and bridges. It's basically a case of seeing how long you can juggle the network. No IAP either. Somewhat pathetically, I am still spending large chunks of my commute on Angry Birds 2. Never give them any IAP dollar though. 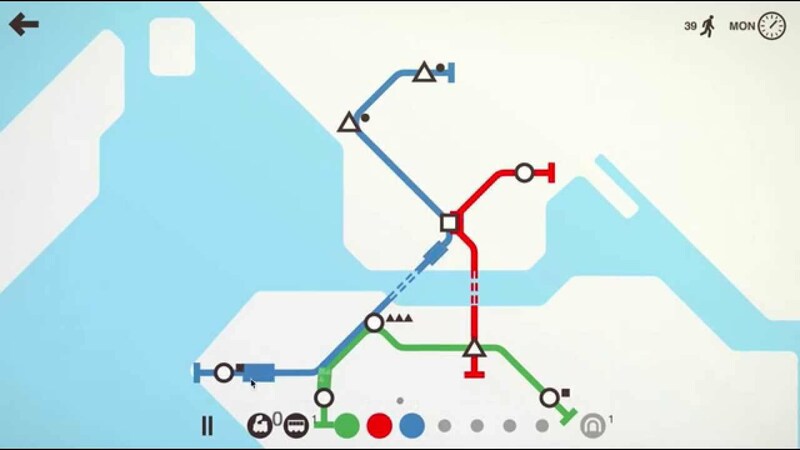 Mini Metro looks fun, and is on sale at £0.89 in the Google Play store. Yoink! Not much of anything. I kinda lost interest in games. They got too complicated or expensive or both. But I'm trying this game called Transistor which has a weird/cool cyberpunky aesthetic, if nothing else. I played Big Bash cricket with the Australian womens league. That was fun for a while. Yeah, I deleted BB cricket after a few weeks. Mobile games are often like that, I suppose. Last edited by Kevin S; 25-01-2018, 15:30. If you ever played Micro Machines 2 Turbo Tournament on the Mega Drive with the 8 player mode this'll be familiar. Top-down view of the track - with some nicely simplified versions of F1 locations - and acceleration is automatic. You control turning, braking and boost. Simple but fun. That Trap Adventure 2 video just keeps cheering me up. So mean. Couldn't be bothered with Angry Birds 2. It was a bit samey. All times are GMT. This page was generated at 08:25.